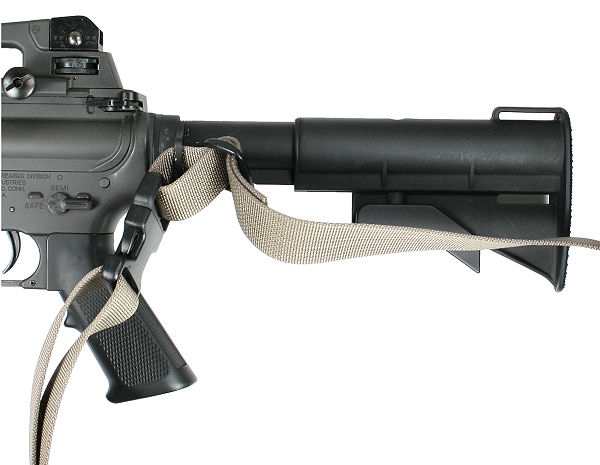 This sling is designed for weapons equipped with receiver mounted rear sling loops or swivels. The High Speed Transition (HST) Sling is designed exclusively for high intensity dynamic entry operations where rapid cross shoulder and secondary weapon transitions are crucial to survival. 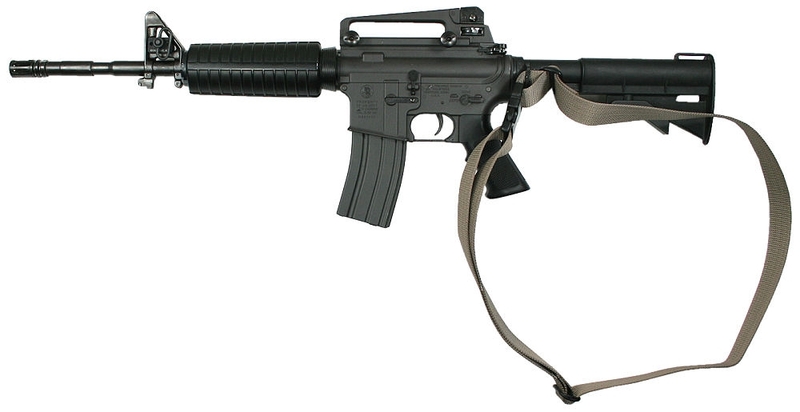 Used on a weapon with a side receiver sling mount, the body loop secures the sling to a single mounting point. This arrangement allows the operator to simply arc the buttstock over the sling for an easily accomplished cross shoulder transition. Should a secondary weapon transition be required the weapon drops naturally to the offside, muzzle down, clearing a path to the sidearm and allowing an unobstructed secondary weapon transition. Our HST slings are constructed from 1.25" webbing and come standard with an Emergency Release Buckle (ERB) to enable emergency disengagement of the sling from the body should the sling become entangled on an obstacle or in the case of a weapon retention problem. The HST sling is an ambidextrous design. Therefore, no left or right hand versions are required. NOTE: The HST sling works best when mounted to a side receiver sling mount such as on the MP5 A3 series or weapons with aftermarket receiver sling mounts installed. Aftermarket side receiver sling mounts are currently available for most popular tactical long guns that don't already possess this feature. We currently carry G.G.&G. receiver sling mounts in our Sling Accessories section.